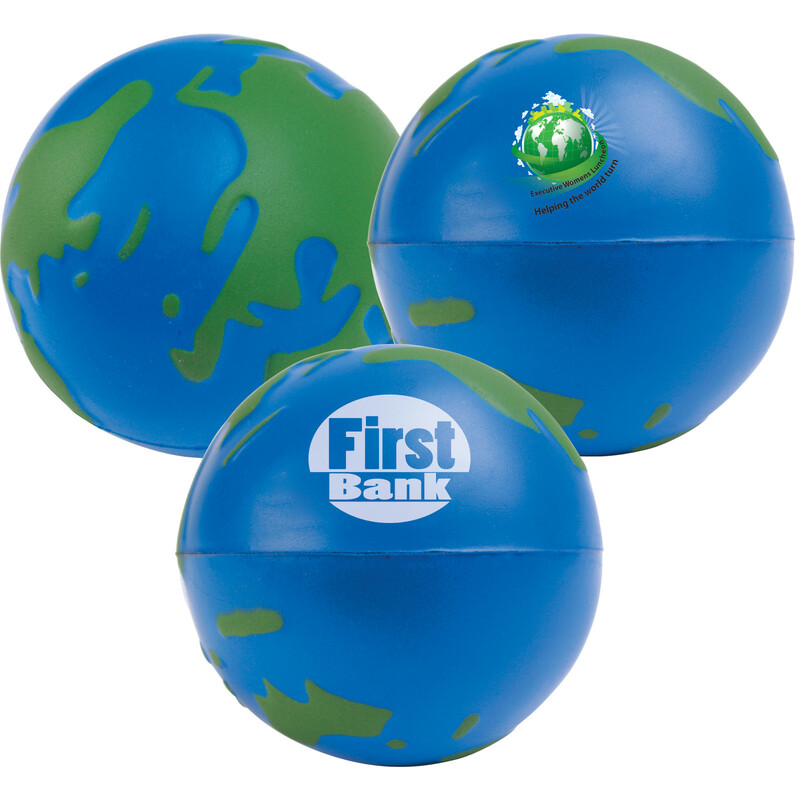 A round stress ball in the shape of the earth with your printed logo. Hold the planet in the palm of your hand with these eye-catching stress toys. 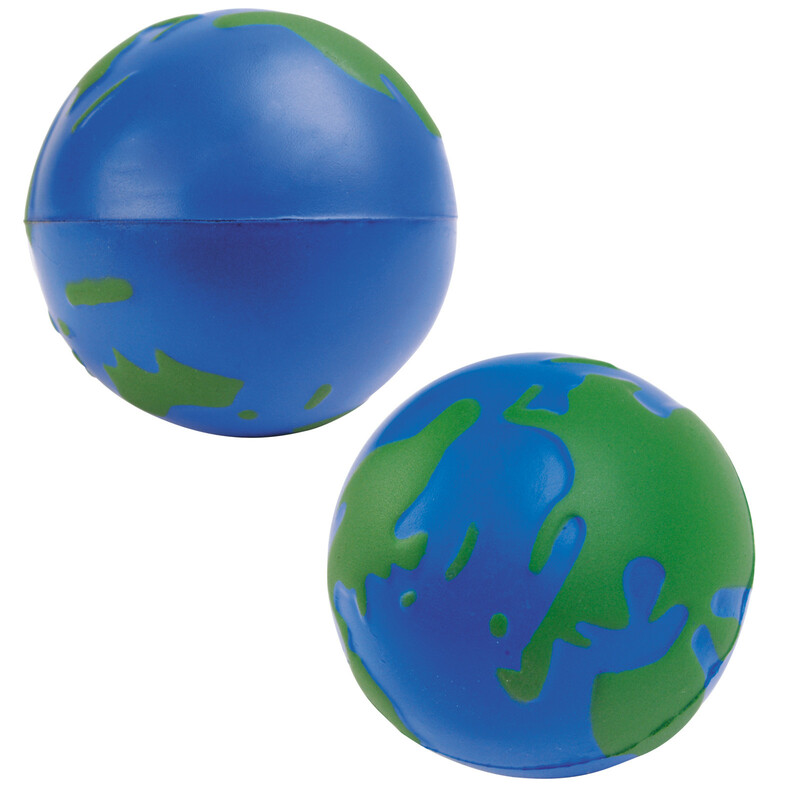 They feature a world map and are a memorable way of getting your logo seen. Great for stress relief and fun to throw, these are a great giveaway item.